In his symphonic works Torbjörn Iwan Lundquist is using a special technique, in which large form is made from large musical blocks. The third symphony is written in one movement, but you can distinguish three blocks and a concluding part, 'the reminiscence' − in which the accumulated power reverts to the original nothingness in the end The third symphony was begun in 1971 in Jämtland and was completed in 1975 at Saltö in Bohuslän. As in most of Lundquist´s symphonies, this symphony begins with a primal cell, his association theme, a gust of wind, which unfolds into a grandiose sunrise. Nature means a lot for Lundquist. The idea for the Symphony No. 3 − which also had the title Sinfonia dolorosa and is dedicated to the composer’s deceased wife Maud — he got during a mountain hike, shortly after his wife’s death. The symphony was first performed in September 1976 in Malmö, by Malmö Symphony Orchestra conducted by Janos Fürst. Lundquist was working on the fourth symphony for several years, mainly in 1984-85. Also this is in a single long, mighty, movement. It is almost twice as long as the third symphony, and it is also written for large orchestra with extensive percussion. After the premiere in Gothenburg in October 1985, with the Gothenburg Symphony under the direction of Sixten Ehrling, who also got the dedication, the composer withdrew the score and revised it slightly a year later. ”Performance, yes − because the composition does not feel completely finished until I heard it” says Lundquist. Torbjörn Iwan Lundquist, born in 1920, grew up in the Södermalm district of Sweden. He was of poor background, and an early interest in nature and films would bear fruit later in life. From early on he took piano lessons. His musical gifts enabled him eventually to form a jazz orchestra at high school, and to earn some money as a jazz pianist. Military service followed, and in 1945 he enrolled in a musicology course at Uppsala University. Dissatisfied with the teaching methods there, he sought out his own teachers, including composition with Dag Wirén, counterpoint with Hans Leygraf and conducting with Otmar Suitner. Eight of Lundquist's symphonies have subtitles, but they are not programmatic. Rather, the title gives the listener an indication of the source of inspiration for each piece. The music is basically tonal but embraces many diverse elements, resulting in a synthesis of traditional structures, avant-garde elements and jazz-inflected influences. Though the works are firmly rooted in the European orchestral tradition, the composer was not averse to drawing from other cultures. The percussion effects of Indonesian gamelan are just one example. The Symphony No. 3, Sinfonia dolorosa, cast in a single movement, was four years in the making between 1971-1975, and was premiered a year later. It marked Lundquist's breakthrough as a symphonist. The work bears a dedication to his wife, Maud, who passed away in 1970. He initially got the idea for the work from a mountain hike. Architecturally, it is drafted in three distinguishable sections – a mighty triptych echoing nature. As the walker makes his journey, he comes face to face with the forces of nature. There are calm mountain streams and gleaming sunshine on the one hand. On the other, darkening skies transform into stormy interludes. The notes aptly describe the music as a ‘symphonic fresco’. The orchestration is colourful and skilfully handled, with some exquisite woodwind writing along the way. Towards the end there is a jazzy section. In the closing bars the music dies away to nothing. Ten years elapsed before the Symphony No. 4, Sinfonia Ecologica. Written again in one movement, at 45 minutes, it is twice as long as its predecessor. There are more powerful forces at work here. They assert themselves from the opening bars with a series of ominous drum beats which have an air of portent about them. Throughout, generally, there is more heightened tension and drama. Basically, it is an undulating narrative of contrasting emotions, and this performance contours the ebb and flow remarkably. The orchestra is the Gotenburg Symphony Orchestra under the work's dedicatee Sixten Ehrling, and the recording is the premiere in October 1985. Ehring injects plenty of rhythmic gusto into this compelling reading. I must single out for special praise the booklet notes, in Swedish with English translation; they are substantial by any standards. They include a fascinating biographical sketch by the composer's son, Dag Lundquist, and a detailed discussion of the music by Curt Carlsson. The performances have been well recorded and fully do justice to these rich, imaginative scores. 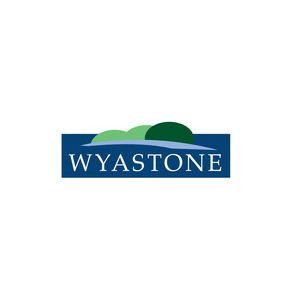 © 2010-2019 Wyastone. All Rights Reserved.